For some forms you may want to email them to the client so they can fill them out at home before coming in. You can do this either when making the appointment or at a later time. 1. 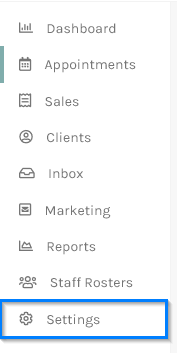 Select Settings in the menu in the sidebar. 2. 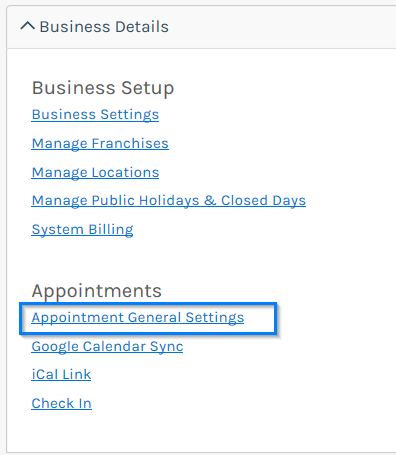 Under the Appointments section click on Appointment General Settings. 3. Tick the box Prompt to Email Forms and click the Save button. Now if you make a appointment booking and a form is required to be filled out by a client the following popup will appear as soon as clicking Save Appointment. This will not be displayed if the appointment has no required forms. You can change the message if required, but you should leave the HTML link as this will be a link the client can click on to open the form on their computer. If you don't want to always be prompted to email you still email them later on. 1. When in the appointment screen click on the appointment. 2. 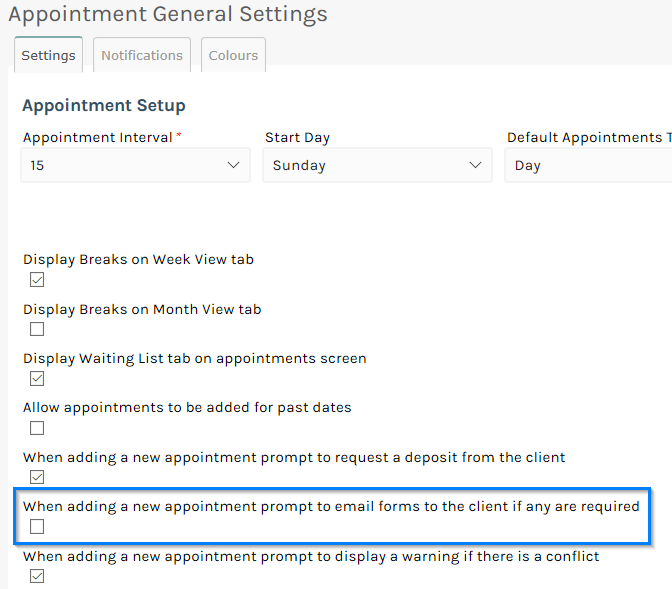 On the Appointment Options popup screen that is displayed if the appointment has a form to be completed a tab will be displayed called Forms. 3. On the Forms tab click on the Email forms to client button. 4. A popup screen will appear with the message to be emailed to the client. You can change the message but should not change the HTML link. 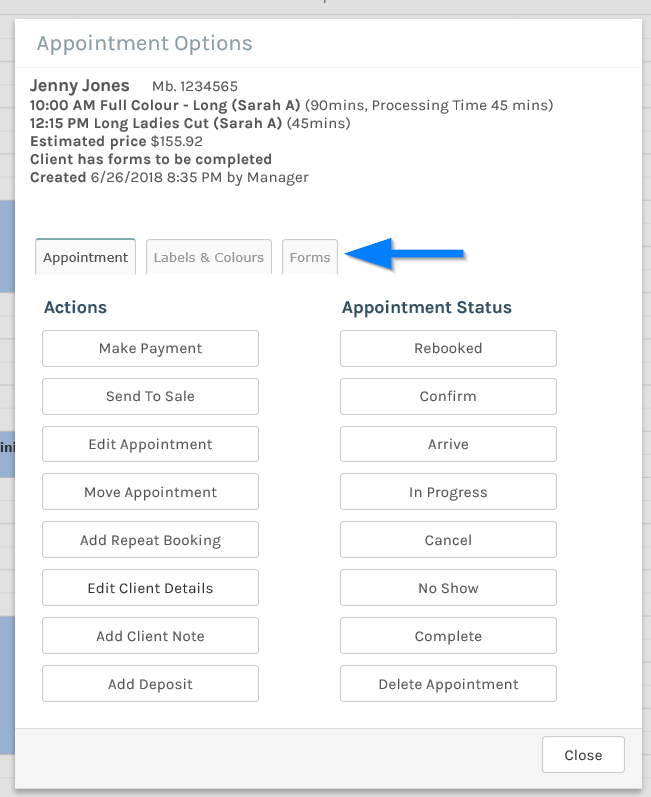 When the client gets the email and completes the form it will be removed from the Appointment Options screen and can now be seen on the Forms tab of the Clients details screen.